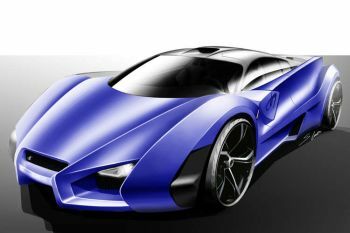 On its stand at the Geneva Motor Show alongside the debut of its new B-segment DR2 car, ambitious DR Groupe will showcase three scale models of a supercar design created by students from the Istituto Europeo di Design (IED), with one of these dramatic concepts possibly headed towards production. 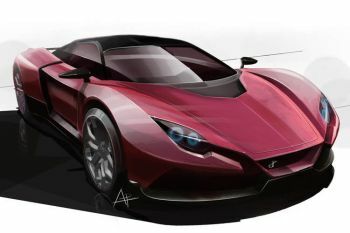 The three designs to be shown in 1:4 scale have been whittled down from the works of thirteen design students from the IED who were tasked with creating a viable supercar design. Taking soundings from the media and visitors to the Swiss show, DR Groupe will then turn one of these proposals into a 1:1 scale model with the plan then being to study the feasibility of putting it into production. The three 1:4 models to be shown in Geneva next month will be called Spirit, Action and Soul. This is the latest bold proposal from DR Groupe which kicked off production of its own-branded cars in November 2007 with the DR5, a 5-door medium sized SUV vehicle sourced from Chery Automotive in China that is based around a heavily updated version of the first-series Toyota RAV4. Under the bonnet is a 109 bhp 1.6 petrol engine and the Fiat Powertrain Technologies-developed 120 bhp 1.9 Multijet 16v turbodiesel. With much attention paid to the interior by DR Groupe, its safety features include ABS and airbags. Sitting on 16-inch wheels, a more compact three door version, dubbed the DR3, has been added to the range, and one example of the DR5 has already been delivered to Pope Benedict XVI. DR Groupe set out to expand its market reach when last December it presented a small A-segment city car, dubbed as the DR1, at the Bologna Motor Show, and now the ambitious firm is seeking to enter B-segment this summer with the new DR2, another Chery-based product, that will be presented in Geneva next month. Both the DR1 and DR2 will be powered by a 1.3-litre petrol engine with 83 bhp on tap. It's ambitious plans seem to be bearing fruit as it is already starting to make headway in Italy, with 1,953 units of its DR5 being sold last year, which was its first full year on sale. The firm was pleased to add a further 169 examples of the DR5 to this tally last month, in very difficult market conditions. The DR5 is priced in the Italian showrooms at 16,900 euros for the petrol version and 21,900 euros for the turbodiesel. The rise of DR Groupe is a rapid story, it was only in 1985 that the firm established itself as a dealership that offered the Italian Lancia brand in the city of Isernia. Soon the dealership grew to add the Alfa Romeo brand along with Fiat. Before long Ferrari and Maserati completed the “made in Italy” product offering. 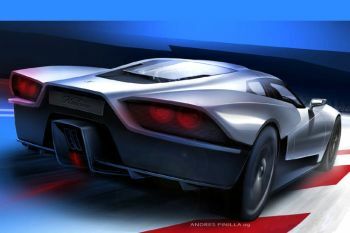 The DR Groupe soon began to add other international brands to its line up of product including BMW, Mini and Land Rover. With an established track record of exceeding all sales expectations the expansion of the brand portfolio never slowed and before long Renault, Nissan, Citroen, and Mitsubishi were added. Today Opel, Ford, Peugeot, Toyota, Seat, Kia, Hyundai, Volkswagen, Smart, Audi, Mercedes, Chrysler, Jeep and Jaguar complete the brand offerings. In 1995 the company was incorporated as DR Automobiles Groupe S.p.A. also launched at that time was the Mediterranea Automobili corporate entity that was created to distribute the brands that DR Groupe represented to other smaller dealers. In 1999 leveraging the relationship that was now established with Fiat, Ferrari and Maserati the company launched DR Sportequipe, a company dedicated to competing professionally on the Italian racing circuits. DR Sportequipe competed in the Ferrari Challenge in 2000 and 2001 before in 2002 the Sportequipe team was victorious in the national championship. In 2000, BMW chose the company as the distribution centre for the entire region of Molise and Lazio. The President of the company is Massimo Di Risio, and the Chief Administrator is Achille Bianchi. The entire group of companies that make up this organization is managed by key individuals with dynamic backgrounds who share in the vision of the company President and have made a commitment to deliver the highest level of service to each and every client no matter what vehicle that client purchases or how many units. In March of 2005, DR Groupe entered into an agreement with Saleen to become the exclusive European importer of all Saleen products. DR Groupe is the flagship company that is made up of 13 corporate entities each operating as an independent business unit. Employing 190 persons operating out of 300,000 sq. m. of facilities, sales reached 250,000,000 euros in the last financial period. Located in the city of Isernia a small but important City that is the capital of the region of Molise in central Italy, the dealership group has a far reaching distribution of vehicles throughout Italy and into all of Europe.